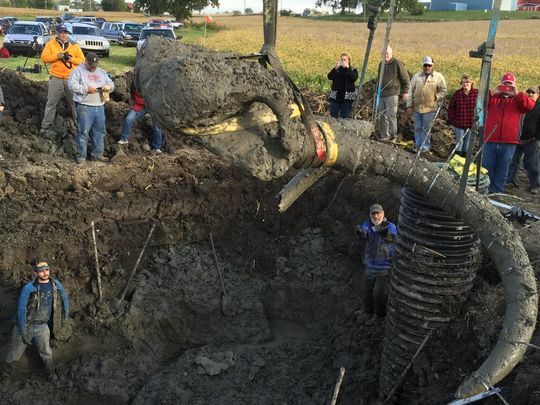 Home / Discovery / News / Viral / These Farmers Thought That They Hit Something Underground Until They Found Out That This Was A Woolly Mammoth! 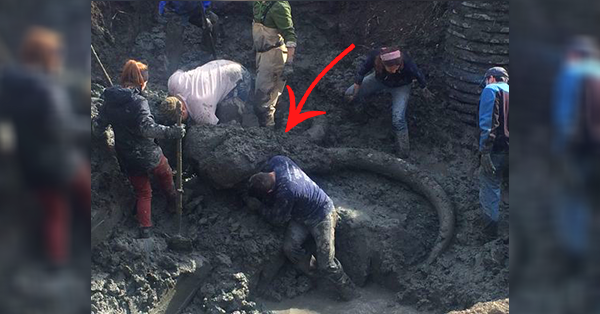 These Farmers Thought That They Hit Something Underground Until They Found Out That This Was A Woolly Mammoth! Woolly mammoths are extinct relatives of today’s elephants. Although the word “mammoth” has come to mean “huge,” woolly mammoths were probably about the size of African elephants. They lived during the last ice age, and they may have died off when the weather became warmer and their food supply changed. Humans may also be partly responsible for their disappearance due to hunting. Two farmers from Michigan were trying to drain water on the field where they were working. Suddenly they hit something underground. Then the two farmers, James Bristle and Trent Satterthwaite was shocked with what they discovered. They started digging and dug 8 feet deeper to finally see what was under the ground they have always worked on. 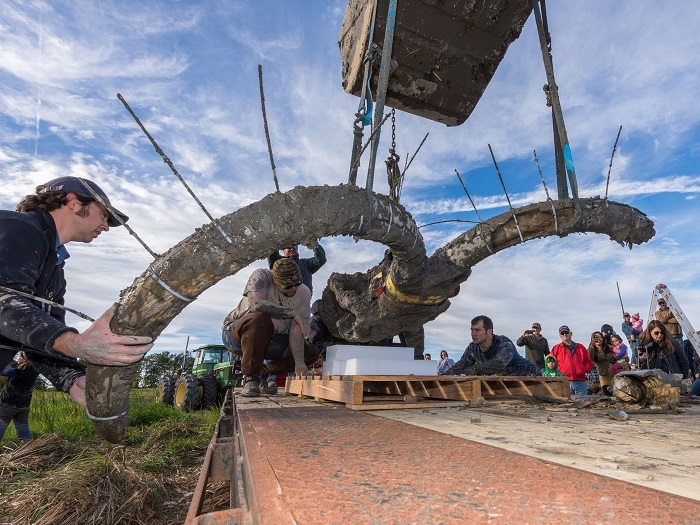 They finally able to see that it was a remains of a woolly mammoth! There was a total of 20% remains that they found. It included its head, tusks, several rib parts, set of vertebrae, etc. It had been said that the one they found living more than ten thousand years ago. Dan Fisher, a University of Michigan professor said the missing parts of the woolly mammoth might have been consumed by humans. Also, the one they dug was in its 40s or 50s already when it died. 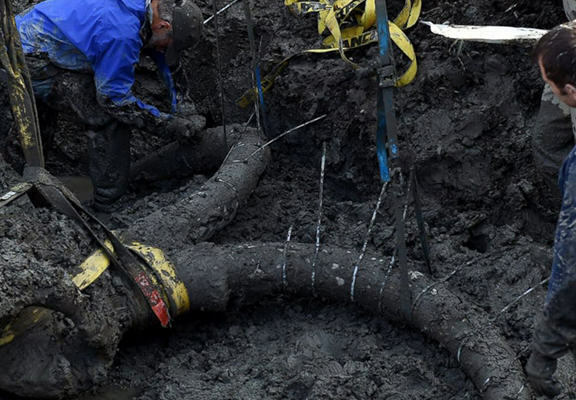 About 30 woolly mammoths were found in Michigan. 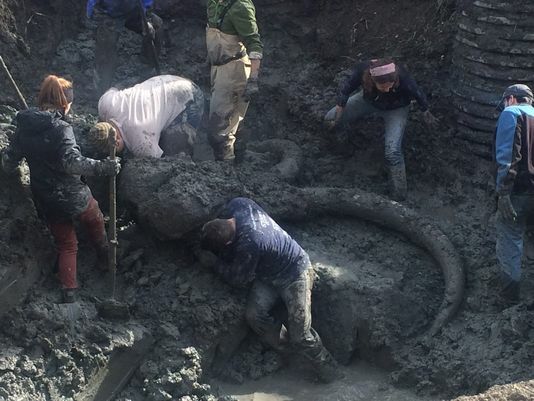 According to the professor, the one found may also not be a woolly but a “Jeffersonian mammoth” or a hybrid of woolly and the Columbian mammoth. “You have a better chance of winning the lotto than doing what we just did,” the professor said. Only a few people get lucky with certain discoveries about historical remains and it is truly a shocking yet amazing experience to find one. Do you think the two farmers should get some rewards for having such an incredible discovery? Share your thoughts with us in the comment boxes below!